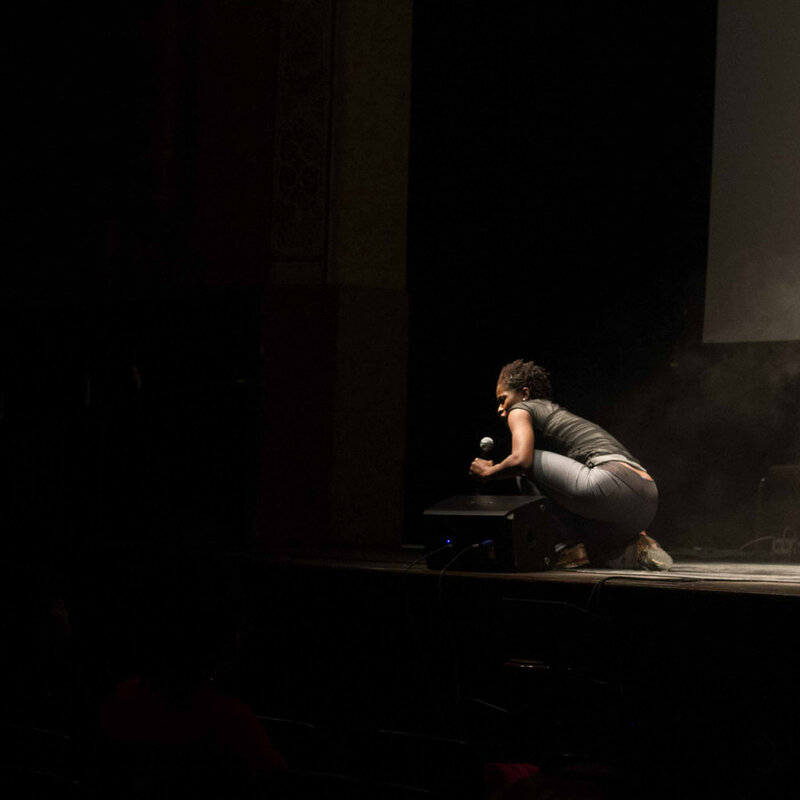 Each act of this powerful performance lifts up the voices and stories of women and girls of color through spoken word, song, and dance. Featuring family members of the victims of police violence, the program pays respect to the lives of their loved ones and others victimized by state violence by encouraging us to say their names out loud. Presented by the African American Policy Forum (AAPF) and the Hammer Museum, the evening is curated by AAPF Artist-in-Residence, Abby Dobson. Audience members have the option of attending this program in person in Los Angeles, or watching the event live via streaming. Article: "#SayHerName Mothers on Women’s March, Fight for Justice"
Article: "Tale Of Two Indias: Two Families Seek Justice For Black Women Gunned Down By Cops"
Article: "#SayHerName: Why We Should Declare That Black Women And Girls Matter, Too"
Article: "#SayHerName: why Kimberlé Crenshaw is fighting for forgotten women"
Video: "#SayHerName African American Policy Forum joins NYU's Black Lives Matter Course"
Video: "Nikki Skies - "Say Her Name" | All Def Poetry x Da Poetry Lounge"
Video: "Say Her Name: Families Seek Justice in Overlooked Police Killings of African-American Women"
Article: "‘Say Her Name’ Turns Spotlight on Black Women and Girls Killed by Police"
#SayHerName is a movement in response to silence surrounding the deaths of Black women at the hands of the state. It seeks to shed light on Black women’s experiences of police violence in an effort to support a gender-inclusive approach to racial justice that centers all Black lives equally. Why do we need #SayHerName? Not only do Black women face many, if not all, of the vulnerabilities that Black men do when it comes to state violence, but they also face additional gender-specific vulnerabilities. How does #SayHerName contribute to the conversation? Centering Black women in discussions of police violence pulls these conversations away from the idea that addressing police violence means “fixing” individuals and not structural systems of inequality and oppression. How do Black women’s specific statuses and identities create vulnerabilities? Women of color are frequently economically and socially marginalized, marking them as especially vulnerable to state violence. What are the specific consequences of Black women’s vulnerabilities? Many Black women are the primary, and sometimes only, caretaker in their family, so their deaths have particularly severe impacts on their households and throughout their communities. How does art fit into the #SayHerName movement? Art allows us to see these women and hear these stories in an accessible and engaging manner.